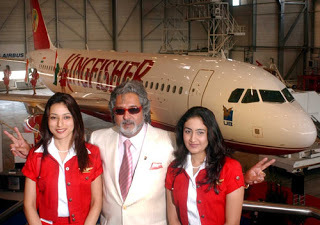 It is unlikely that Kingfisher Airlines will be able to restart operations any time soon. This is because the Airports Authority of India (AAI), the Government’s Service Tax Department and a consortium of banks are insisting that their dues be cleared before the airline is given permission to take to the skies again. Kingfisher owes Rs 400 crore to AAI and over Rs 7,500 crore to a consortium of 17 banks. Airline’s Chief Executive Officer Sanjay Agarwal had met the Directorate- General of Civil Aviation (DGCA) here last week and submitted a fresh proposal for restarting the airline. According to the proposal, UB Group would pump in Rs 650 crore in the airline over 10 months to facilitate restart of its operations. WILLIAMSBURG, Va. -- Media outlets in Virginia are reporting that a plane crash near Williamsburg on Friday has killed an Air Force major general formerly assigned to U.S. Strategic Command at Offutt Air Force Base, along with his wife and their dog. Virginia State Police spokeswoman Corinne Geller says Maj. Gen. Joseph D. Brown IV and his wife, Susan, died when a single-engine Cessna 210 crashed in a James City County subdivision. The major general, 54, was the pilot. There were no other passengers on the plane. Geller said the crash occurred at 4:53 p.m. Friday near the Williamsburg-Jamestown Airport, where the plane was supposed to land. She said no one on the ground was injured, and no buildings were damaged. Federal Aviation Administration investigators arrived at the scene Friday evening. Other details, including the victims' hometown, weren't immediately released.